Mischievous Christmas snowman with Christmas trees and snowflakes on a light blue background. This ribbon is placed on a red heavy weight nylon webbing. **Collar pictured is a 3/4 inch Small. Example of the varying widths in last picture. **Production time is 5 to 9 days. **Colors may vary per your computer monitor. My sizes are as follows and please allow 2 fingers of extra room around your pup's neck! If in doubt please measure! You are welcome to convo me for a custom size. 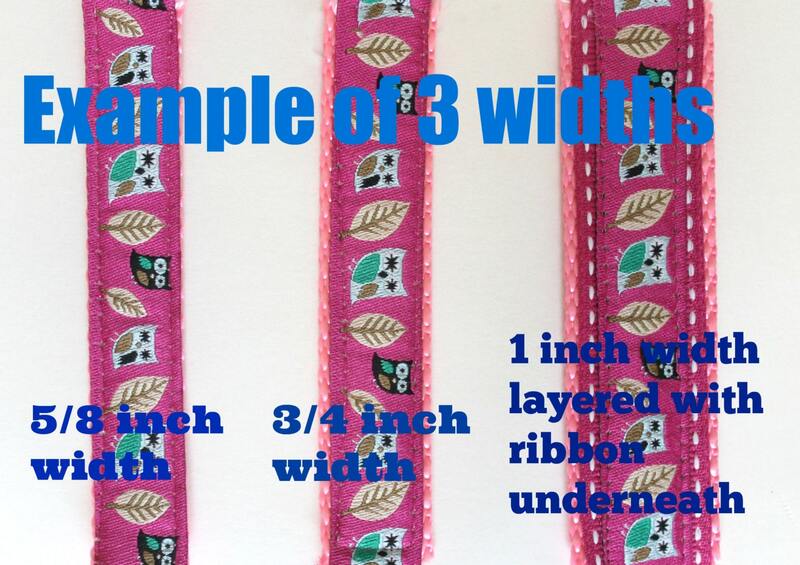 If you purchase a 1 inch width collar they will be made as in this listing with ribbon layered underneath the ribbon as in the last picture above. This item will be lovingly handmade when you place your order. I know you want your pup's collar quickly but please allow up to 5 to 9 days before shipping. In many cases I can ship quickly. International orders please read my policies for shipping. Meet the owner of daydogdesigns. I accept Paypal or Direct Checkout through Etsy which includes credit cards. *There is a state sales tax on products purchased in Arizona. *I accept International orders and the label and shipping is figured through Etsy. I am not responsible for custom fees or taxes imposed by your country. The true value will be on the label and marked as merchandise. Accepted within the first 30 days if in new condition. 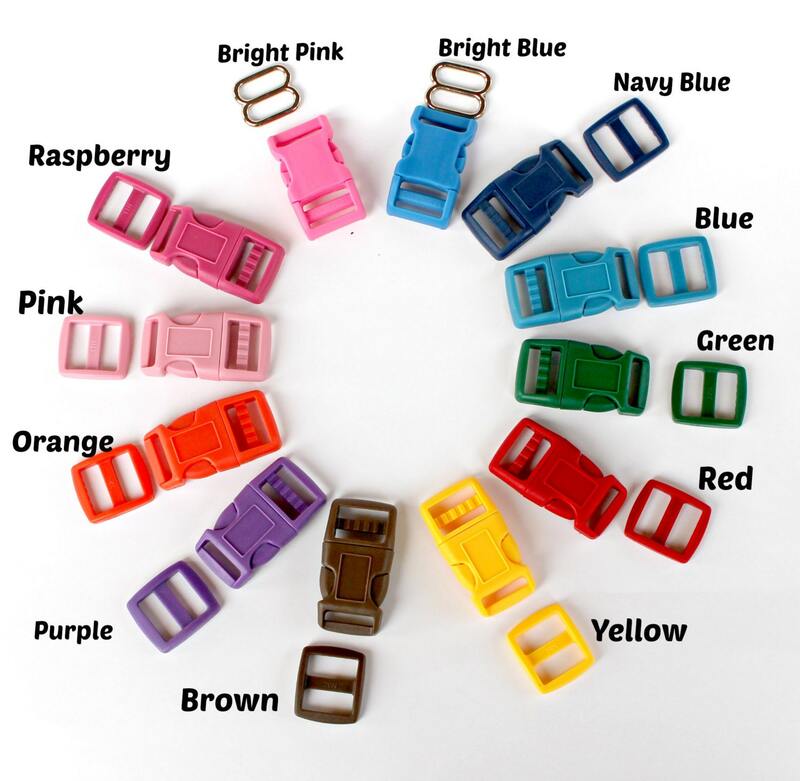 ID Engraved Buckle Collars are not refundable because they are a custom collar so please take care in choosing a size. I can resize a collar smaller if it is shipped back to me at your expense and resize but you will be responsible for shipping costs back to you. If you need a larger size, you will need to repurchase the collar but not the buckle and ship the buckle back to me. Over time if you would like to have a new collar made but reuse the buckle you can ship the buckle back to me to be remade into a different collar. Please purchase a collar but CONVO me that the buckle will be shipped back to me. *It is the buyers responsibility to pay for shipping back to me for an exchange or refund. I spend lots of time looking all over Europe for the custest ribbons I can find! I also use high quality designer fabrics for all the rest of my products. I love to help with custom sizes or orders. Please see my Welcome Message for additional info on how I make my products. For Collars, Leads and Harnesses: wash in cold water on a gentle cycle in a pillow case or laundry bag and lay flat to dry. For Snoods: wash in cold water on gentle cycle and lay flat to dry.